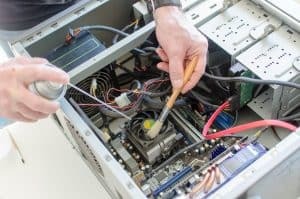 Six Reasons Why Professional Hardware Cleaning Is as Important as OS Maintenance - Computer PRO Unltd. Many people believe that the only thing you need to maintain for your devices is the operating system. While it is true that the operating system is a major part of what makes your device what it is, what some people don’t realize is the hardware is just as important. As a result, ensuring your hardware is clean is just as important as maintaining your operating system. To help clear up any confusion you may have, we’ve assembled a list explaining the importance of professional hardware maintenance. As you might imagine, dust buildup inside of your computer can cause your computer to begin performing less optimally. This can be for a variety of reasons – for example, if you have dust buildup inside of your fan, your computer will not be able to cool down properly. For example, in the situation where your computer is overheating for an extended period of time, it can cause a forced shutdown – so you may lose all of your data. In order to prevent this from happening, look into cleaning your computer case – or consider having it done professionally if you aren’t comfortable doing it yourself. 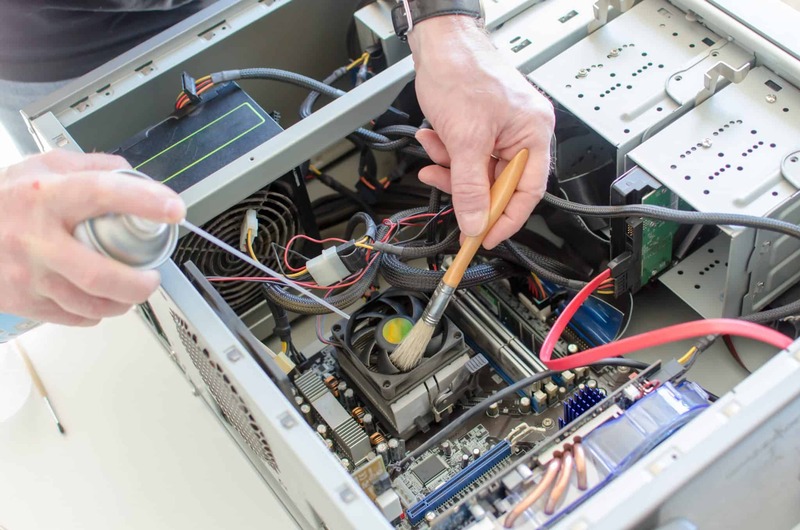 With routine professional hardware maintenance, you can make sure all of your computer’s hardware is performing as it should be. If you routinely check your computer’s performance, you can narrow down any issues before it’s too late. For example, your graphics cards might not show signs of wear right away – with it potentially giving out at the worst possible time without any warning. If this were to happen, it might be difficult for you to isolate the exact issue, as you might not be able to turn on your computer’s display. Another major part of hardware cleaning is something some people might not expect. Cable management is one of the most important steps when it comes to ensuring your hardware, as poor cable management can lead to – as is the case with other things mentioned – decreased performance. If your cables are not properly managed inside your computer, it can lead to overheating, or other unexpected issues. It’s recommended you always check your cable management if you have to take anything out, when cleaning your case, or adding new hardware. While this might not be the first thing that comes to mind for most when it comes to hardware cleaning, keeping your keyboard and mouse clean is an essential step in the process. In order to make sure they work properly, it’s just as important to keep them clean. For your keyboard, the easiest way to clean it is a can of compressed air, if possible. As for your mouse, it’s best to use a slightly damp cloth – of course, make sure your keyboard and mouse are both completely unplugged or the battery removed when doing so. Your USB ports are another essential part of the computer hardware puzzle. These can easily be cleaned by simply using a can of air (or high pressure air duster) to blow out the USB ports. While you are blowing out the USB ports you will want to make sure you do not see any bent pins. Finally, while this ties in with the first point, always make sure to clean your side panels. Your side panel can be one of the most problematic points in terms of dust and debris, as this will prevent any possibility of overheating from the insides not getting enough air. You may not realize it, but your computer needs to breathe just as much as you do – so always make sure to keep every part that may obstruct airflow completely clean. Overall, maintaining your hardware can be just as important as maintaining your operating system. In order to keep your computer up and running, make sure to keep your hardware clean; and prioritize airflow. Wanting to Build Your Own Computer read this article – So You Want To Build A PC?